Comment: Looking for a quote to install gutter guards for gutters that are exposed to pine trees and other trees above them. Comment: We need our gutter either replaced or repaired by the looks of them I would guess replaced. Comment: Current gutters are posing a drainage problem. Comment: Need to repair gutter falling away from fascia. 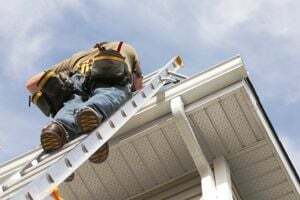 Comment: I would like to get an estimate for gutter repair - gutters are sagging in some certain areas - need some straps put in. Castle Rock Gutter Cleaning & Repair Services are rated 4.80 out of 5 based on 630 reviews of 19 pros. Not Looking for Gutters Contractors in Castle Rock, CO?